Please refer to *Step 5a. 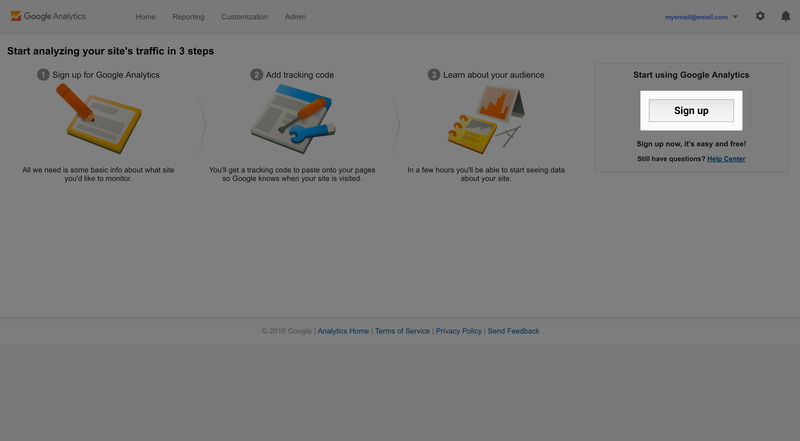 To get started with Google Analytics, you’ll first need a Google account. 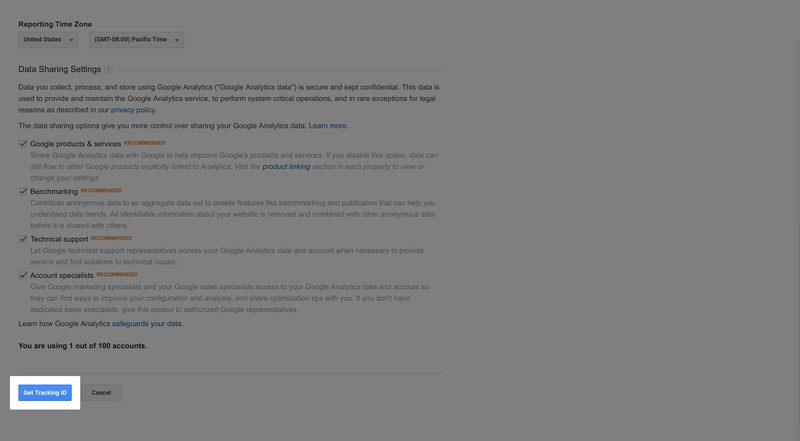 If you already have a google account, please proceed to Step 1. Otherwise, please create your Google account. 1. 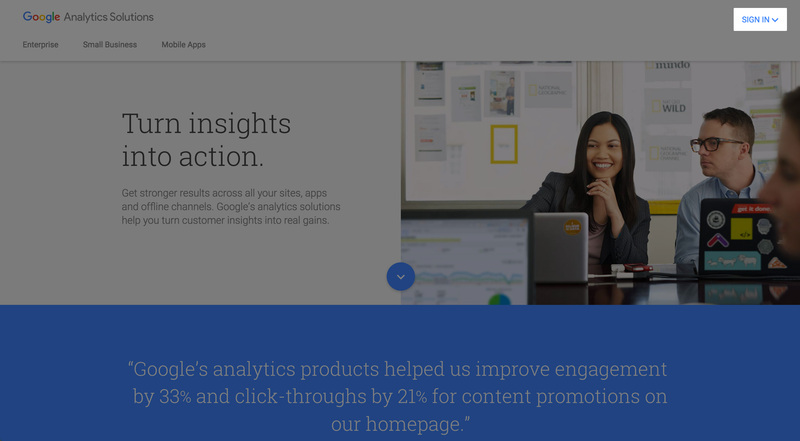 Go to Google Analytics, and click on the ‘Sign in’ button at top right of the page. 2. A dropdown menu will be shown. 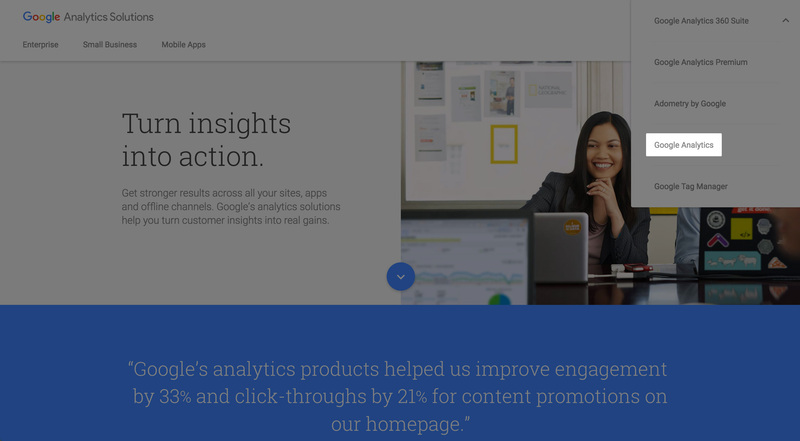 Click on ‘Google Analytics’. The following page will be the login page. Please sign in to your google account. 3. Once signed in, the following page will be shown. Click on the ‘sign up’ button. 4. On the following page, please select the ‘website’ tab, and complete the required details. 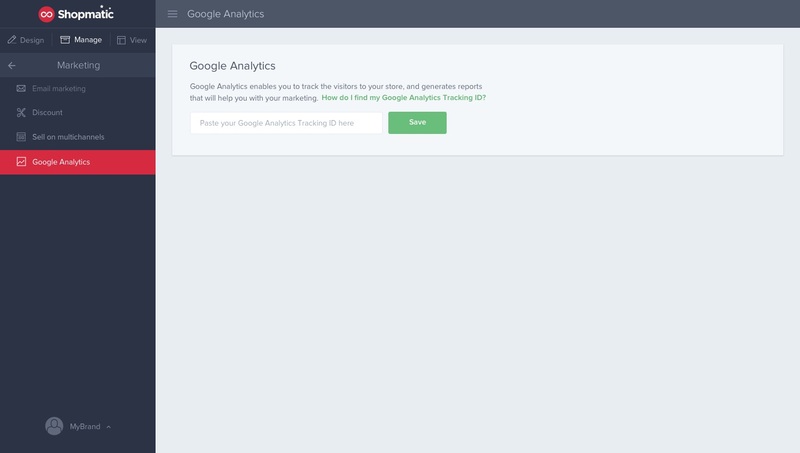 At the bottom, select the ‘Get Tracking ID’ button to retrieve your tracking code. *5a. 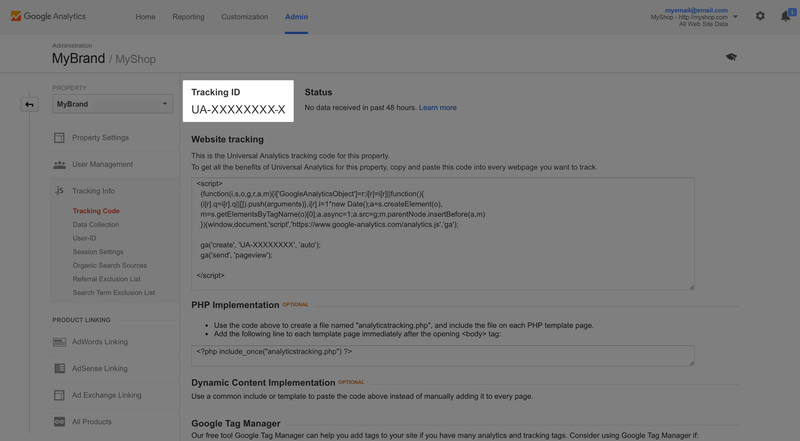 For users who already have Google Analytics: The tracking code can be found under ‘Admin’ Tab above, ‘Tracking Info’ on the left side bar, followed by ‘Tracking Code’. 6. Next, please head to your Shopmatic admin account. 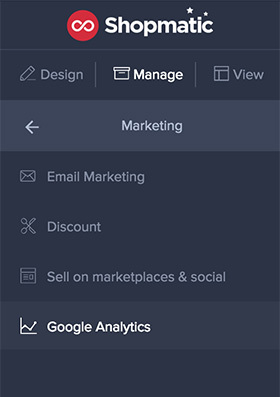 Under the ‘Manage’ tab, please select ‘Marketing’, followed by ‘Google Analytics’. 7. 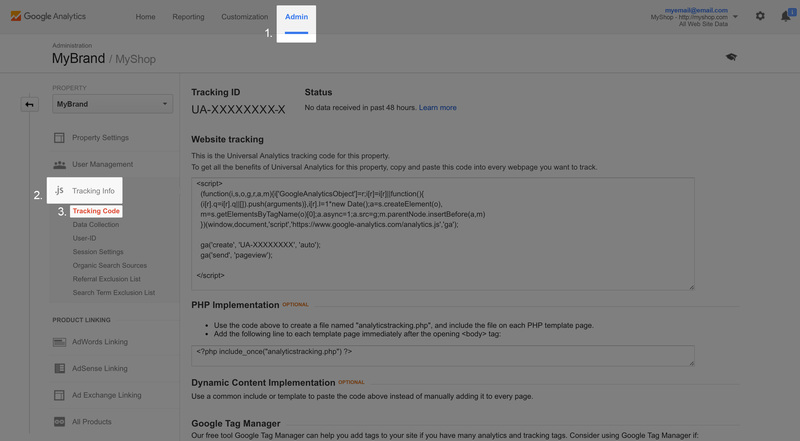 Paste the code you copied from Google Analytics into the field provided, and click ‘Save’.